There are various skills everyone should learn in Excel. One of those skills is protecting an Excel worksheet. 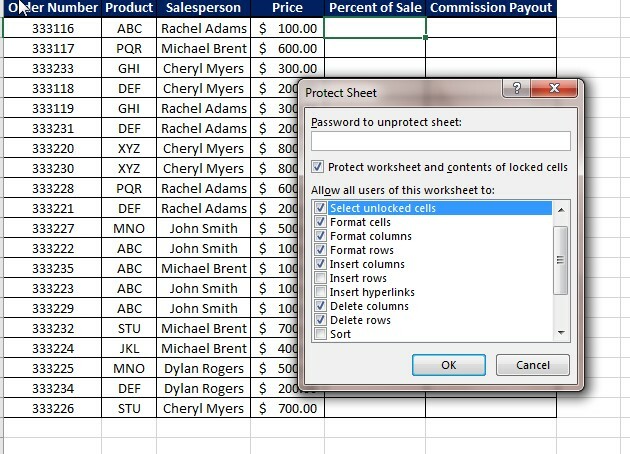 Excel allows you to add protection to a worksheet or workbook to prevent other users from making changes to your worksheet. This is particularly useful when you have an Excel workbook that multiple people use at your company. Protecting an Excel worksheet is fairly straightforward. There are several reasons to protect a worksheet. Let’s say you have a weekly sales log that has formulas and functions built into. You want your sales team to add information but don’t want them changing formulas – on accident or on purpose. So, you add protection to prevent them from being able to change anything. Even for something as simple as not wanting someone to change your formatting, protecting an Excel worksheet can come in handy. We here a Learn Excel Now hope you now feel comfortable protecting an Excel worksheet. This essential Excel skill will help in ensuring your data is always what you expect it to be. Very useful tool for working with sensitive information. How do you retrieve a lost password on a protected file?